Bank of India Mumbai Specialist Security Officer Jobs Reruitment 2014 Online Application Form Download Details are given below. Bank Of India Mumbai Specialist Security Officer Jobs Recruitment 2014 : Bank Of India (BOI) Mumbai is Published a Notification for the Recrtruitment of 27 Specialist Security Officer Posts. Bank Of India Mumbai Specialist Security Officer Jobs Recruitment Online Last date 20-02-2014. Age Limit : The Applicants age limit be between 25 years to 40 years. Age Relaxation as per government Rules. Education Qualification : The Applicants and Eligible Candidates Must Complete Graduate from Recognized University. A Certificates in Computer Course for Minimum three months OR Information Technology and Should have Desire experience. Pay Scale : Eligible Candidates can get Rs. 19400-28100/-, pay scale per month. Selection Process : Selection Process will be Basis of Group Discussion and Personal Interview. Application Fee : BOI Mumbai Specialist Security Officer Jobs Recruitment the Unresearved Candidates need to pay of Rs. 600/-, and Reseaved Applicants need to pay Rs. 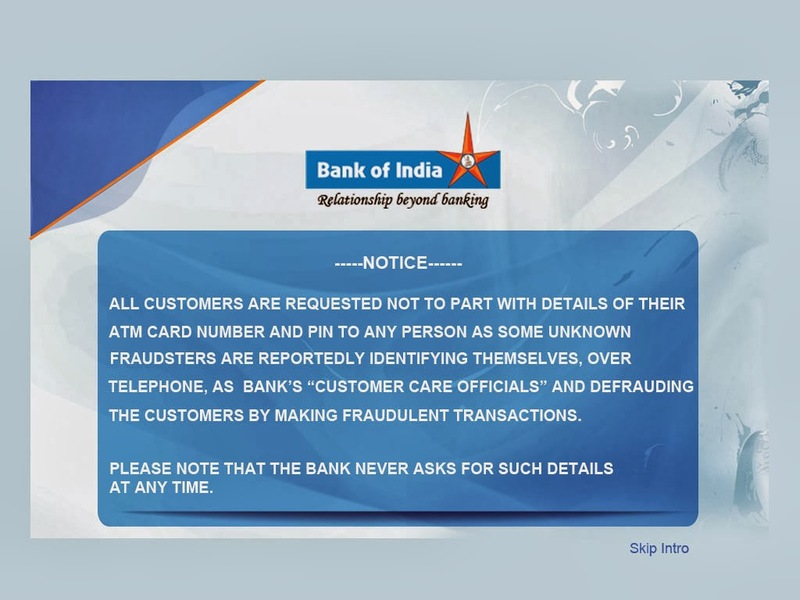 100/-, pay the fee in any bank of India . Bank of India Mumbai Specialist Security Officer Jobs Recruitment 2014 ONline Application Form Download.